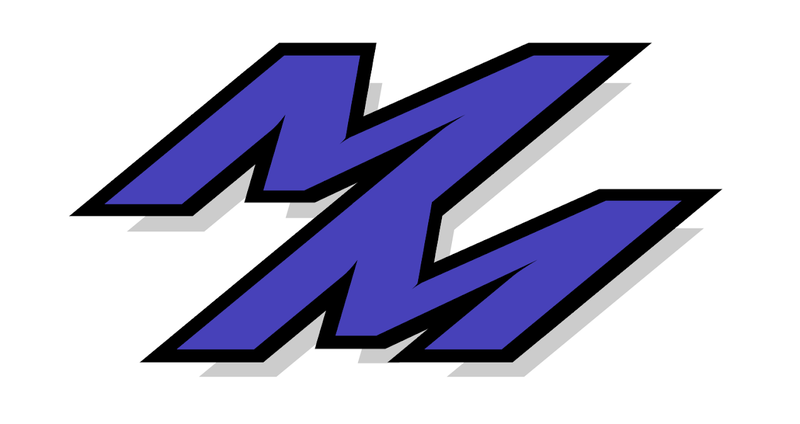 Monnar Motorsports: First BMW CCA Event! Rachel's hot 135i with some fresh tires! 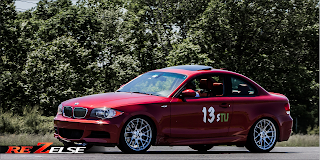 Today I got to not only try out the BMWCCA club, but I also got to co-drive Rachel's BMW 135i! Definitely a change of pace for me, but it was something I was looking forward to driving. Rachel was also sporting some fresh BFGoodrich Rivals for tires, so I got to try them out and see what the fuss was about (which they're pretty good!). 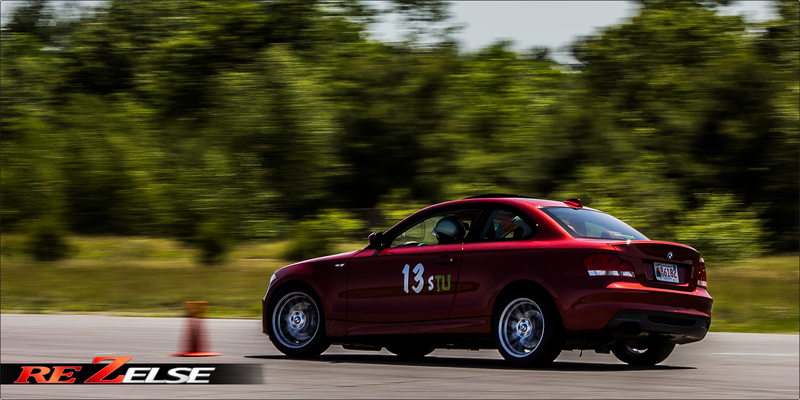 For starters, they do classes differently than just SCCA classing. I honestly didn't get the chance to really grasp how they do it, other than it's sort of points based. So if you have a certain number of modifications on the car, it equals X number of points, which then decides what class you fall under (I could still be wrong even about that too!). However, they do always have 8 runs per event, AND offer to pickup lunch for you in advanced! Not too shabby. As for the race, I was trying to figure out Rachel's car in the morning. I wasn't used to turbo-lag, and I wasn't used to having an Electronic LSD (it's an open differential and uses the brakes to slow down the inside wheel). After getting used to the car and figuring out how to make it behave more like I wanted it to, I managed to get down to a '65.294 clean, taking the lead in the BMW C class! Rachel was right behind me with a '66.082 clean, so I can't complain on my performance. 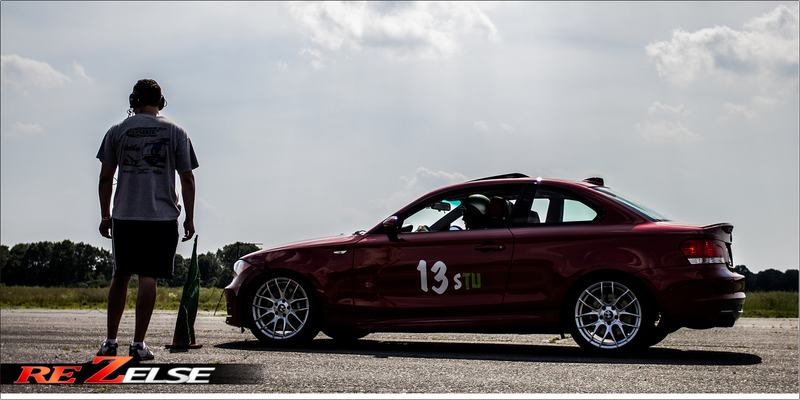 In terms of results, BMWCCA takes your fastest morning time and fastest afternoon time and averages the two. My fastest morning time was a '66.279 clean, and fastest PM time was '65.294 clean. Rachel was right behind me, coming in with a '66.082 clean in the morning, and then a '66.804 clean in the afternoon. The rest of the results are located here for the day. 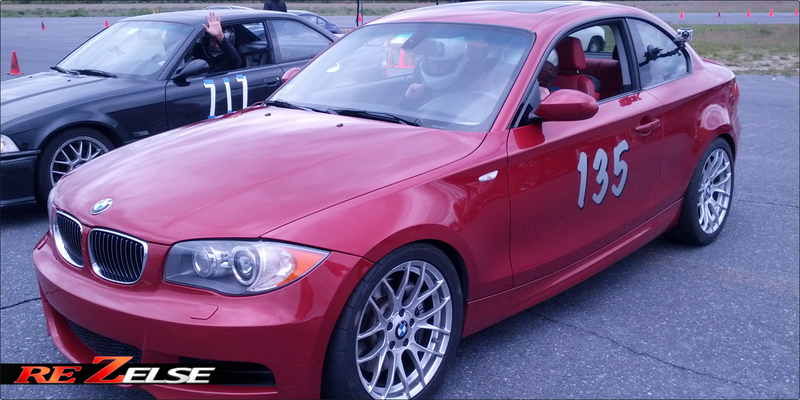 It was a ton of fun getting to drive something different, as it will only help me become a faster and better driver in the long run. 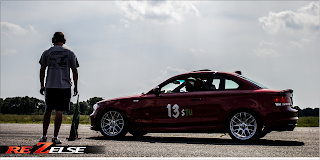 Thanks again to Rachel for letting me co-drive, and thanks to BMWCCA for putting on a great event! Below are Rachel and I's fastest runs of the day. Youtube Playlist with all the videos are located here. First one is my 5th run, followed by a video of her 4th run. Learned a lot, and I'm looking forward to the next time I get such an awesome opportunity! Thanks again Rachel!